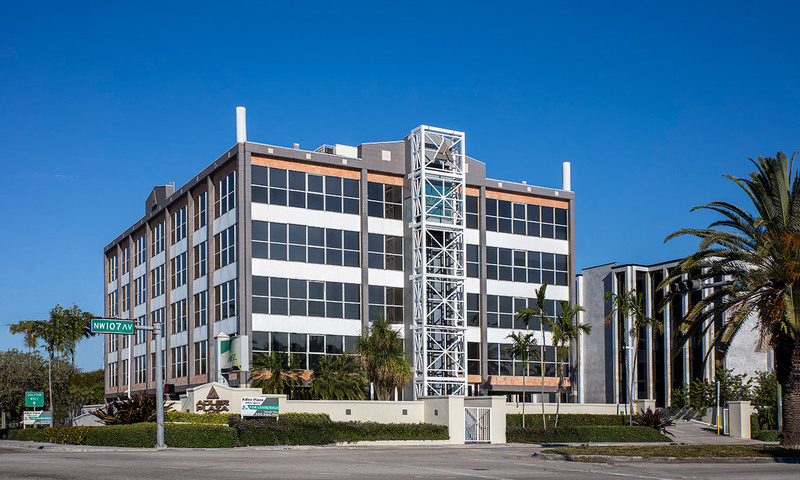 1400 Building is a Class A office building located in Doral, Florida just east of the Dolphin Mall and West of International Mall on NW 107th Avenue. The location provides immediate access to Miami International Airport, SR 836, SR 826 and the Florida Turnpike. The building is comprised of fixed tinted glass windows and various exterior accents. 1400 Building combined the convenience of safety of gated and covered parking with the beauty of the lobby’s marble finishes and recessed lighting. The building’s state-of-the-art security system and 24-hour surveillance are also benefits to the tenants, along with the conference room facilities and flexibility in office suites and layouts.